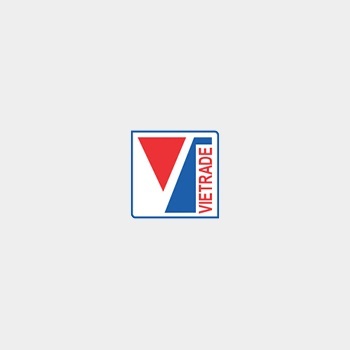 VIETRADE - The Vietnam Expo in Myanmar 2014 was held from 13 to 16 November 2014, in Yangon City, Myanmar. This annual event which under the umbrella of the National Trade Promotion Programme was carried out by the Vietnam Trade Promotion Agency (Ministry of Industry and Trade). The Expo was aimed to support Vietnamese enterprises in introducing, promoting, establishing the network of consuming Vietnamese goods in Myanmar, as well as assisting Vietnamese investors in approaching and accessing the investment environment in Myanmar, whereby more contracts would be signed during the Expo. Continuing the success of Vietnam Expo in Myanmar in recent years, 70 Vietnamese enterprises participated which occupied 120 booths at the show this year. Different kinds of good which Vietnam have advantages in export such as mechanical, electrical equipment, pharmaceutical, chemical, cosmetics, consumer goods, energy, telecommunications were displayed to meet demands and tastes of Burma customers. At the Opening Ceremony, Mr. Do Thang Hai - Deputy Minister of Ministry of Industry and Trade – said that maintaining the Vietnam Expo in Myanmar every year since 2009 has become an important event, attracting a large amount of both Vietnamese and Burma to attend. It had contributed significantly to strengthen the economic and trade cooperation as well as tightening the relationship between between the two countries. Hai also emphasized that while the regional integration background has become more deeply, ASEAN countries have been heading towards an ASEAN Economic Community (AEC) in 2015 which welcomed all ASEAN members. Such business matching events and coordination in organizing trade promotion between Vietnam and Myanmar had a special meaning, not only enhanced the trade cooperation but also formed the large common market regional. In recent years, despite many difficulties in countries around the world, with open economic policies, Myanmar has emerged as a potential market that attracted lots of foreign investors to exploit this market, including Vietnamese enterprises. The demand for entering Burma market has risen substantially. Recently, Vietnam - Myanmar trade relations has made remarkable achievements. Two-way export – import revenue has grown rapidly and stability from US$10 million (2001) to US$351 million (2013) and reached more than US$364 million in the first nine months of 2014. In term of investment, up to now, Vietnam has licensed eight investment projects in Myanmar with a total registered capital of US$600 million. Vietnamese enterprises are striving to boost two-way trade revenue to reach US$500 million and the investment to reach US$1 billion by 2015. According to the General Department of Vietnam Customs, for the first 9 months of this year, Myanmar is the third largest trading partner of Vietnam in ASEAN (after Singapore and Malaysia). Myanmar is also one among five ASEAN countries that Vietnam had trade surplus. The Vietnam Expo in Myanmar which was held annually has created more opportunities for two countries' businesses for further cooperation, brought experiences to Burma consumers with high quality Vietnamese goods and services, and lastly, contributed to enhance trade and investment between Vietnam and Myanmar in the near future.